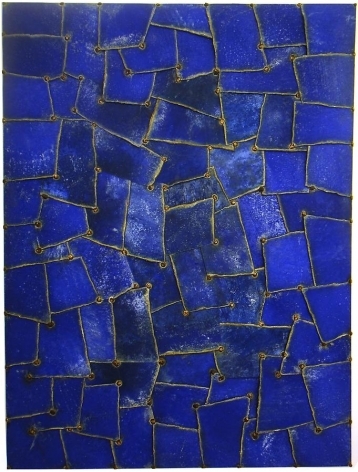 Nathan Slate Joseph creates raw, tactile works by staining shards of discarded steel with pigment and acid. 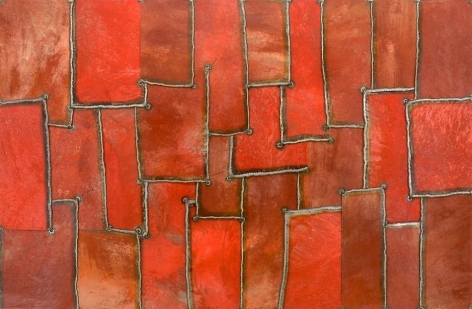 Exposing the metal to rain, wind and sunlight in his outdoor studio, he achieves unpredictable patinas and textures. Joseph has been an integral part of the New York School of Art for the past 30 years. Today he is renowned for his works exploring themes of globalization, immigration and climate change. For his first solo exhibition in Hong Kong, Joseph unveils a new series of three-dimensional paintings, freestanding sculptures and wall-mounted vessels. 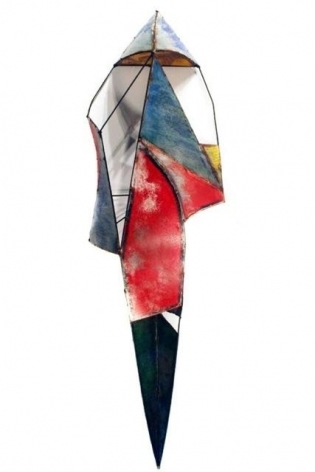 Intensely colored, Joseph's art straddles the realms of painting and sculpture, East and West, nature and the manmade. For this exhibition, Joseph expands on iconic series from earlier periods in his long career. 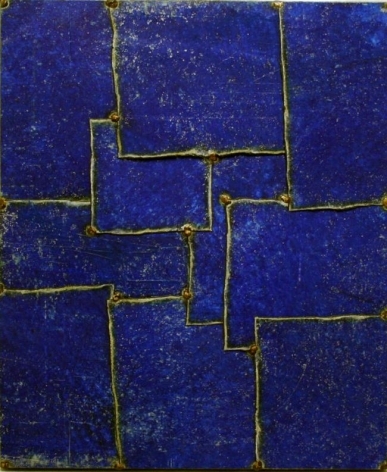 Augmenting his Silk Road series, for instance, Joseph creates eloquent geometric paintings by layering torch-cut metal panels. Blocks of saturated color reference Joseph's roots in the Silk Road hub of Bukhara. 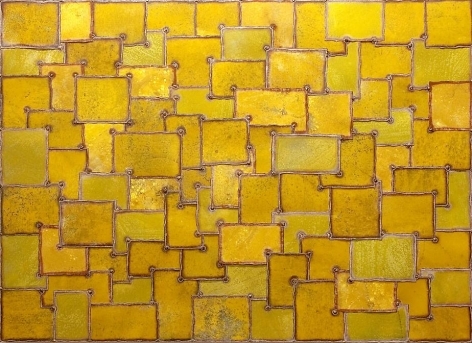 The fragments of roughly cut metal also evoke refugee settlements, which Joseph encountered growing up in Israel in the 1940s and 50s. In a similar vein, his boat-like wall-mounted sculptures from his Vessel series continue this narrative of movement across continents. Meanwhile, he adds to his Tumble Weeds series with ball forms made from strips of scrap metal. These unwieldy forms grapple with the tensions between the natural world and industrialization. Curator Sundaram Tagore says, "Nathan has been an important part of the fabric of New York City's art scene for many years, but his work has a universal element." Joseph moved to New York City from Israel in the 1960s. Along with contemporaries Frank Stella, Carl Andre and John Chamberlain he began experimenting with scrap metal and other found objects. A journey to Mexico in the 1970s inspired a shift toward his dramatic color palette. He was fascinated by the vibrant building facades and the manner in which their colors intensified over time. Soon he discovered the technique of applying pure mineral pigment mixed with water to zinc-galvanized steel. This was an important breakthrough. By incorporating color into his works, Joseph extended the language of the junk art movement. Years later, he traveled to China, India and Indonesia where he encountered shantytown dwellers crushing cans and scavenging for materials to make shelters. He then began to combine urban aesthetics with a concern for nature. 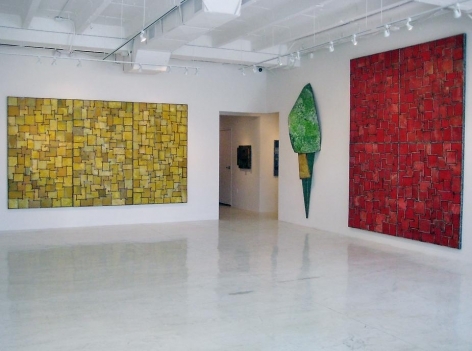 Nathan Slate Joseph's work is in numerous public and private collections and he is reviewed regularly in publications such as Art in America. He has collaborated with the renowned architect Adam Tihany on multiple projects, and his work is installed at Jean Georges at the Trump International Hotel, New York; Inagiku at the Waldorf-Astoria, New York; onesixtyblue restaurant, Chicago; and the Dan Eilat Hotel, Eilat, Israel. 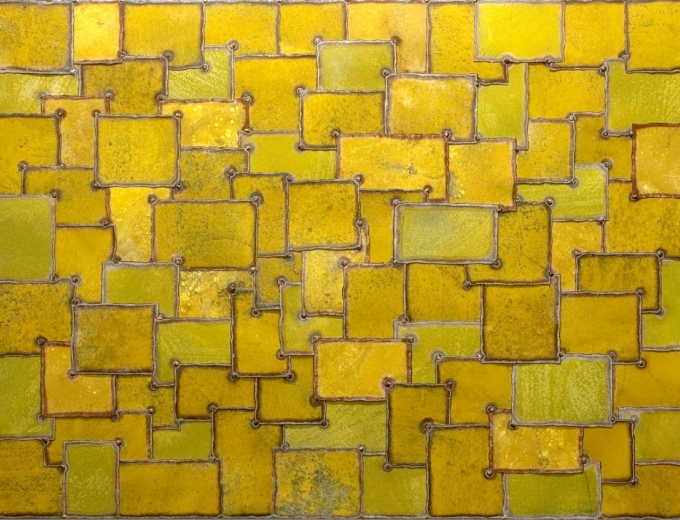 He was awarded an Art in Architecture Award from the American Institute of Architects in 2003 for his work on the Harlem Patchwork Building. 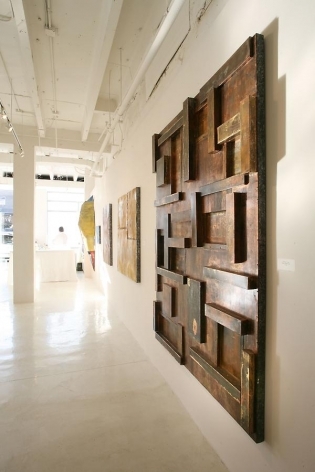 Notable private collectors include artist John Chamberlain, singer-songwriter Joni Mitchell, and chef Jean-Georges Vongerichten. 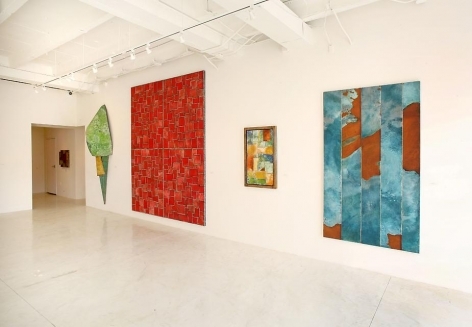 His paintings have also been acquired by the Art in Embassies Program, Washington, D.C., for United States embassies in Cyprus, Mexico and Turkey. His work was most recently acquired by the Zimmerli Museum in New Jersey.